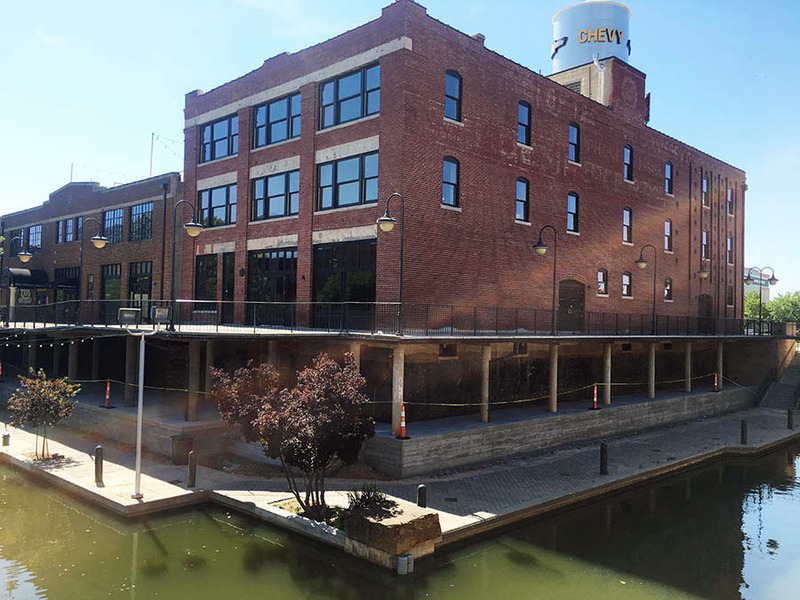 Sitting at the far southwest corner of the Bricktown Canal, the historic Case Plow Building has been receiving a methodical renovation and soon its prominent water tower will get something completely new to Oklahoma City. 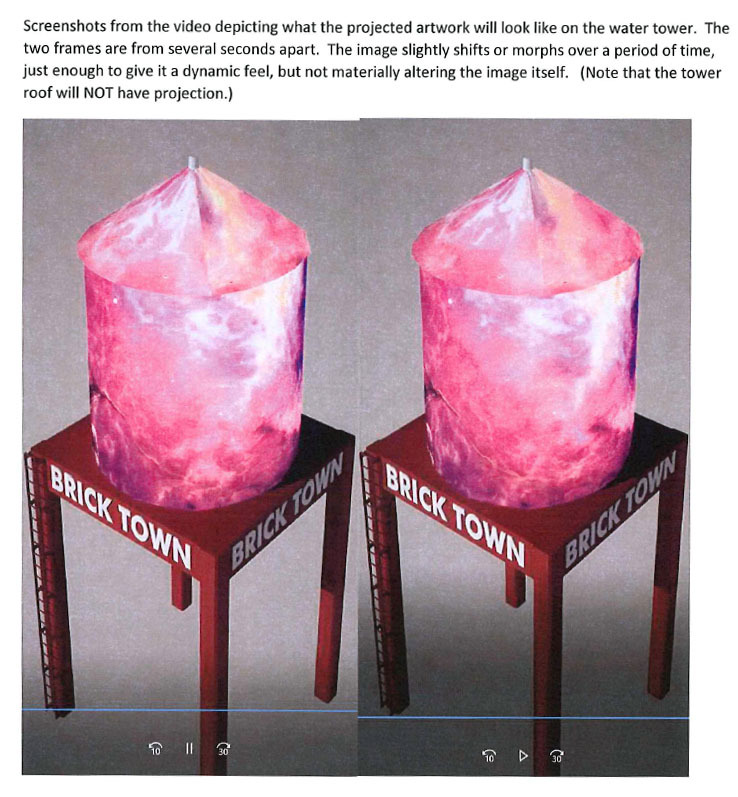 Owner Nathaniel Harding has commissioned local artist Chad Mount to design an array of outdoor projects which will broadcast an slightly shifting image onto the highly visible metal tower where the long-standing 'Chevy' sign was recently removed. 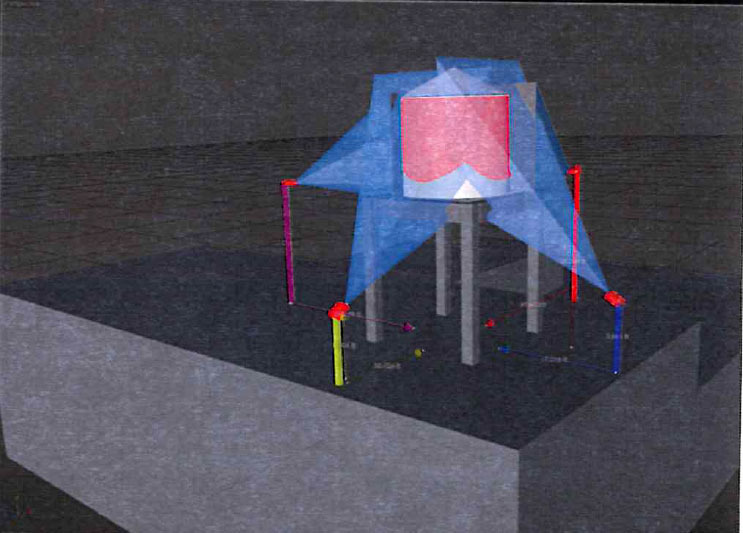 The installation will be named Atmospheric Anomaly. The building at 2 E. California has already welcomed new tenants on the upper flows and what was once just dirt and rubble at canal level is now cleaned up and being prepared for occupants. 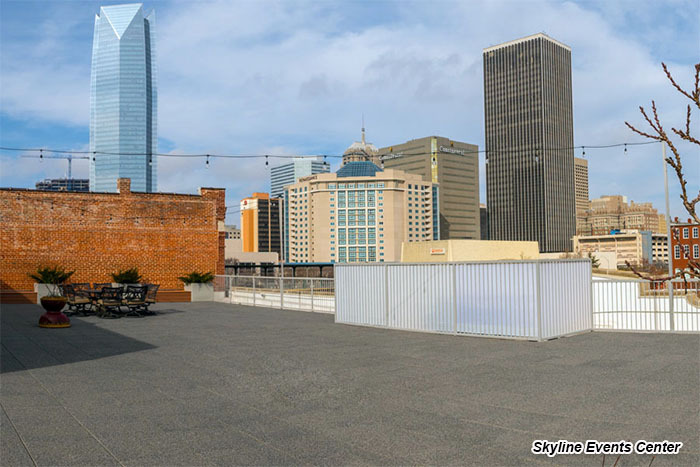 Also owned by Harding's group directly to the east, the Skyline Bricktown at 12 E. California, an expansive event center directly above Zio's Italian Kitchen, is set to formally open in the next few months. 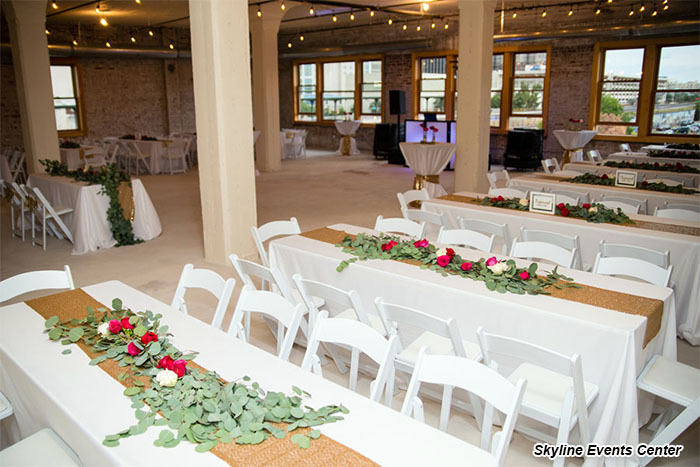 Skyline features a large indoor space on the 2nd floor and then a huge rooftop patio above, with stunning views of the downtown skyline and canal. 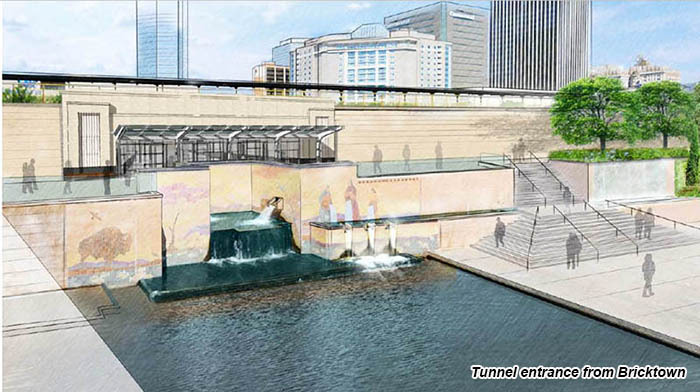 Harding says they have already received interest in the canal space at Case Plow, which will be very near the new tunnel underneath the railroad tracks that will directly connect Bricktown to the recently renovated Santa Fe Station.